What You Can Expect at Triennial – North American Baptists, Inc.
Take a minute to see what some of the International Office staff were hoping we might see at the upcoming Triennial! If you haven’t registered, click below to sign up now, and plan to join us this July as we gather as an NAB family! Norm Poehlke, VP of Ministry Outreach, just returned from Brazil, visiting with Lyndell Campbell-Réquia and attending the Chain of Love board meetings. Chain of Love continues to expand as the city of Novo Hamburgo has asked the board to take on two additional houses, giving them oversight of 20 additional children. This is a testament to how highly Chain of Love is respected in this region, but it also presents challenges of staffing and cost. Please continue to pray for this ministry. Don’t miss out on this wonderful time together in beautiful Sumas, Washington, May 14–16! Join emcee Ron Norman, retreat speaker Geoff Hartt, and missionary guest Tony Campos for a time of fellowship, connection, and refreshment. We will gather to catch up with one another, share stories, make memories, and worship together. contact Amber Pedroni at (916) 797-6222 or apedroni@nabconf.org. For some, a cruise is a chance to get away, see new sights, and visit new lands. For eighty alumni of God’s Volunteers / New Day, Sioux Falls Seminary, and Taylor College and Seminary, the week-long cruise to the Mexican Riviera, February 10–17, was a veritable feast of fellowship. Everyone enjoyed the inspiration and encouragement, and each day at sea included many tender and emotional moments as several participants shared prepared reflections from their own life journeys around the theme of Roots and New Shoots: Staying Grounded in a World of Change. There was, of course, plenty of singing as well. 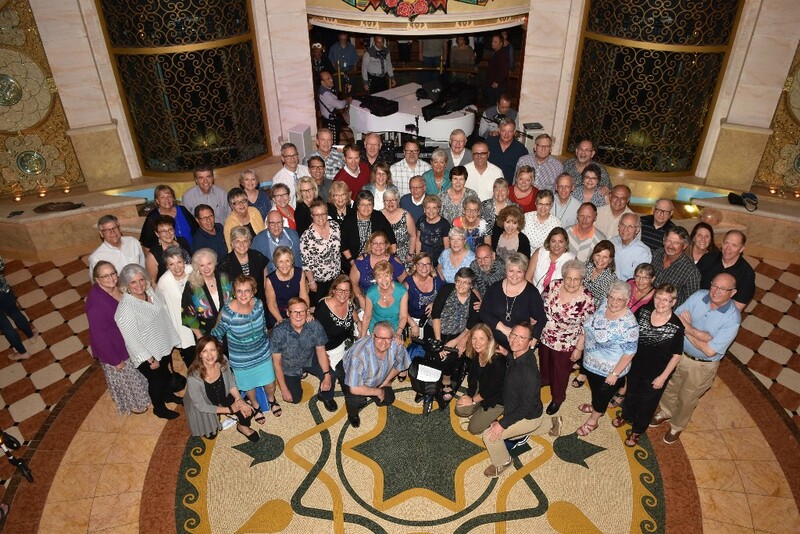 Ron Rogalski led the group singing and Warren Hoffman, Ted Faszer, and Edna Grenz led the choral singing, all of which culminated in a final concert on the afternoon of the last day of the cruise, with so many from the ship attending there was standing room only! Roger and Carrie Liegmann, WestMOUNT Church, West Kelowna, British Columbia. 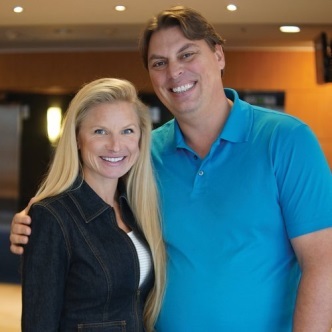 Roger and Carrie Liegmann have lived in the Okanagan Valley in British Columbia for a decade. After feeling prompted by the Holy Spirit, they planted a new church in West Kelowna. Their greatest desire is to proclaim the glory of God and invite people into a personal relationship with Jesus Christ. They launched worship services in October 2013. Pray for experienced, mature elders with a heart to train, serve, and equip the body of Christ. Also pray for volunteers to step up and take ownership in different ministries. You can find them online at westmountchurch.com.